Power Plant Utility Modules » Bay Ltd.
Second phase expansion of the power station located in Queens, New York. Bay Ltd. completed the fabrication and assembly of six process and utility pipe rack modules weighing a total of 1,800 ton including piping and valves up to 30 inch. The work was completed in 8 months with a total of 180,000 hours of direct work. 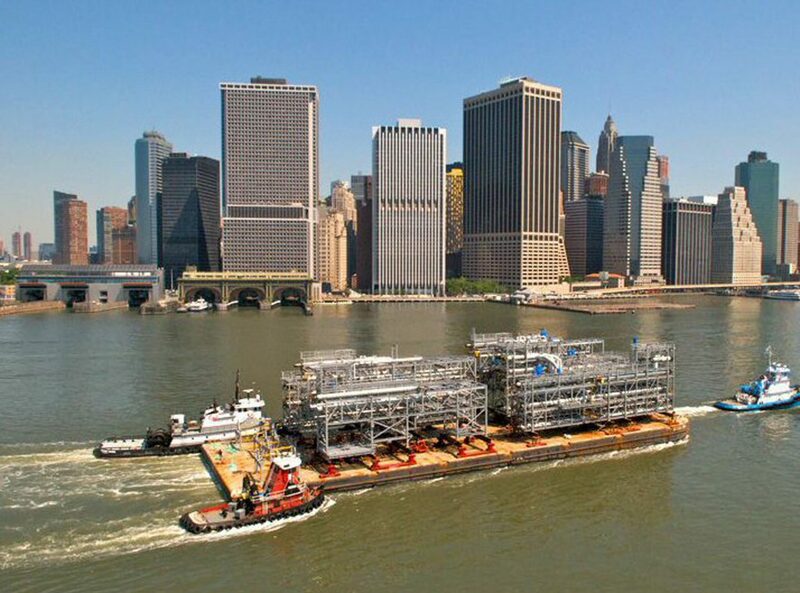 The units were loaded out by Bay to a customer supplied barge and shipped from the Bay Corpus Christi facility for delivery direct to Queens, New York.